In Ellmau, part of the SkiWorld Wilder Kaiser-Brixental, skiers and snowboarders get their money’s worth. Reliable snow coverage on 279 kilometres of pistes, over 90 modern lifts, numerous refreshment huts and service amenities such as low priced ski rentals at INTERSPORT Rent guarantee pure enjoyment on the slopes. Night skiing? 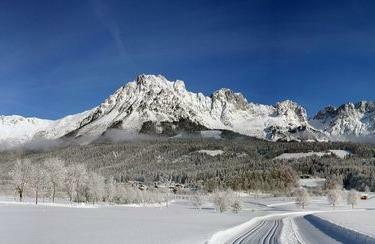 It’s possible in Ellmau, part of the SkiWorld Kaiser-Brixental! On 13 kilometres of lighted slopes, night owls can swoop down towards the valley late on into evening. INTERSPORT Rent makes sure you have the proper equipment. At three branches in Ellmau, you’ll receive competent advice when it comes to rental gear or the appropriate protective equipment. Ellmau belongs to the largest interconnected ski area in Austria – the SkiWorld Wilder Kaiser-Brixental. On 279 kilometres of pistes, beginners, experts, families and groups will get their money’s worth: over 90 modern ski lifts and cableways carry you quickly and comfortably towards your adventure on the slopes. Experience true hospitality at one of the 70 refreshment points and service centres, such as the ski rental shop in Ellmau. Carvers appreciate the wide variety of summit pistes, families enjoy the sunny “family runs and experts are drawn to the long valley descents. To sum it up: there’s something for everyone in Ellmau! The same goes for ski rentals: rent your equipment for seven days and only pay for six. The INTERSPORT Rent team is happy to inform you about their current specials. 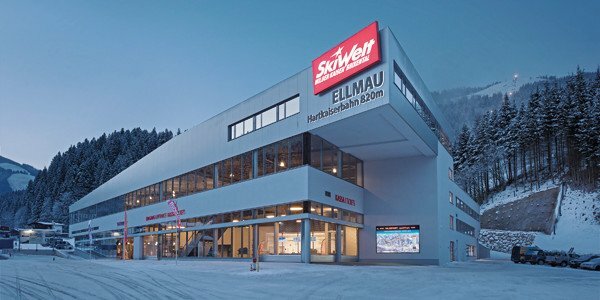 Would you like to rent ski gear for your holiday in Ellmau at the SkiWorld Wilder Kaiser-Brixental? 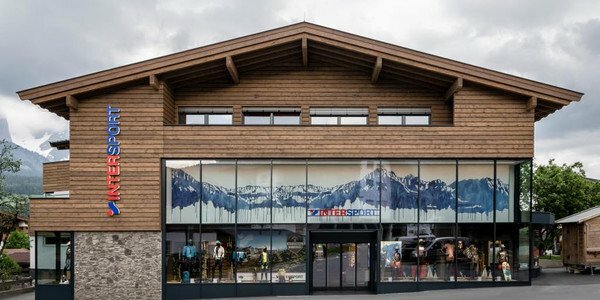 The competent staff-members at the three INTERSPORT Rent branches in Ellmau are at your disposal!